The number of websites that link to your website is one of the factors that help search engines determine your relevancy for a search term. Google has an algorithm that essentially says, if you are popular that means you must be important. Link popularity and gaining new links from outside websites to your website have proven to be a popular concept for people seeking to improve their search engine rankings. Search engines don’t just look at the content of your website to determine if you are a match for a search. They also look at the number of outside websites that can validate, by linking, that you are a good match. Search engines also rank the importance of the sites that link to you. This means if the New York Times links to your site, your credibility is higher than if Joe’s Online Newspaper provides a link to your website. 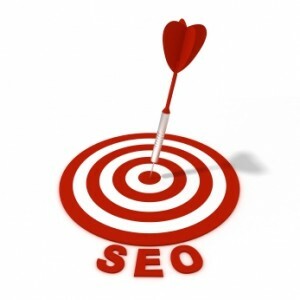 Search engines also consider the text contained in the link that is pointing to your website. If the text in the links contains keywords you are trying to compete for, the search engines consider your site to have even greater credibility. The best way to build long-term link popularity is to offer good content and features that provide real value to your audience. As people discover your website and realize its benefits, the likelihood of them linking to your website naturally increases. There are several critical targets if you want to build up your link popularity without appearing to be a spammer. The first is good links from Yahoo and the Open Directory Project. Both of these sites are human based directories that have a lot of influence over search results. If your site is listed in the correct category and has a good description, links from these two websites are seen as validating you are the real thing. The second place it’s important to have a link from is topic specific or niche directories. These are websites that are dedicated to news and information that is an exact match for what you provide online. If you have a website that deals with tractor parts, being listed on sites that focus on tractors is very important. In the case where a niche website doesn’t know about your website, it’s okay to ask them to link to your website. But your message should be personalized to them and also tell them the benefit or feature their users will get from linking to you. Another part of the web that helps build your link popularity is resource sites. Resource sites are lists of links that people put up on their own. These pages are often spread amongst friends and readers who find good information available from the resource. In order to reach this audience, a good PR campaign and press releases can ensure that these individuals know you exist and have a link to your website that they can easily include. One of the most overlooked spots for building link popularity is links from partners and vendors for your business. Because you already have a business relationship with these companies or individuals, you are more likely to be able to request and receive a link from their website. These websites help validate your place online and also establish you within a community of websites online. If you are visible to the community, you are more visible to the search engines. Link popularity also starts at home. You must make sure your link architecture is solid and easily followed by search engines. That’s the first way that search engines see you. It’s also the way that visitors find information within your website. The easier you make it on your audience to find good information, the more likely they are to link to it. The final way you can work to increase your link popularity is to participate in newsletters and online forums that relate to your website. You don’t want to just jump in and give a plug for your URL. You must participate in the discussion as an expert or authority who gives good advice. When you sign your name at the bottom of your posting, be sure to include a signature that includes a link to your website. If these forums and newsletters are archived and remain online, search engines continue to see them and the links they contain. Link popularity will continue to be an essential factor in successful search engine marketing initiatives for the foreseeable future. Links are a helpful tool for search engines trying to wade through billions of documents and find ones that are relevant to their users.